I had a great experience with Dr. Iorio. You can tell that she cares about he patients because she took hertime. I had a great experience with Dr. Iorio. You can tell that she cares about he patients because she took her time. Dr. Option was fantastic! She told me exactly what to expect and took care of the issue right away. So friendlyand comforting. I would definitely recommend her to anyone. Dr. Option was fantastic! She told me exactly what to expect and took care of the issue right away. So friendly and comforting. I would definitely recommend her to anyone. Dr. Susan Iorio received a Bachelors of Science from Lafayette College in Easton , PA and she received her Medical Degree and Masters Degree in Public Health from Tulane University School of Medicine , New Orleans LA. She did her medical internship at Mercy Hospital in Pittsburgh, PA and then returned to Tulane to complete her dermatology specialty training. During this time, she was chief resident and she also completed a Dermatology Clinical Research Fellowship. Prior to joining Allergy and Dermatology Specialists, Dr. Iorio practiced dermatology in North Scottsdale and she was named one of Phoenix Magazine's "Top Doctors" for the years 2009 and 2010. 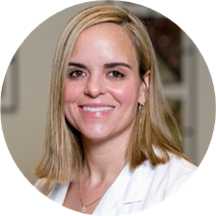 Dr. Iorio is a board certified dermatologist and her medical interests include medical and surgical dermatology with special interest in skin cancer detection and treatment. Friendly, easy to talk to, professional, knowledgable. She assessed the problem and did a treatment and I was out the door in ten minutes. The best combination of know-how, professionalism and personality! If I could describe Dr. Lorio in a word, that word would be pleasant. Dr. Iorio is great. She saw me right away and fixed my issue in 5 minutes. Very professional, knowledgeable and friendly. It is always a pleasure to visit this office....everyone is so friendly, professional and unhurried. Dr. Iorio was very nice and helpful. She took time to answer all of my questions and wasn't in a rush to see the next patient like I've experienced more often than not with any kind of doctor. I never have a wait for my appointments, Dr. Iorio is very easy to talk with and understands my needs. On point fast and friendly service ?? Nice office, friendly staff, doctor is thorough and professional. My wait time was under 5 mins and the appointment itself was not long however, my needs were addressed and I was treated all within this one visit. Highly recommended! Very knowledgeable. She listens to your concerns and advices you the best. Explains and answers every question you ask. Great bedside manner. Took her time and heard me out. Gave her diagnosis and treatment, taking time to explain and answer questions throughout. I would highly recommend. Couldn’t be more pleased with my appointment with Dr. Iorio. She’s so direct and honest and truly seems to care about my treatment and that I have a positive outcome. Very easy to talk to and confide in. Also, being anew patient was as simple as filling out a couple of sheets with no added wait time. Excellent service overall. I will be returning and recommending. She was very professional and answered all my questions! Dr. Iorio is one of the very best physicians in dermatologist I have seen. She treats you as though you are the only patient on her busy schedule. She is through, explains what she is planning to do and moves through the procedure with swift precision. Great doctor. Great staff. Great office. I was/am really impressed. Dr. Cahill saw me and was absolutely fabulous. Made me feel so comfortable and was sweet and funny. Loved her and her assistant. Was in and out in less then 15minutes even with her having to do 3 biopsies. They are always helpful and attentive. She was very willing to listen to me and explain all of my questions and did not try to hurry and rush me out of the room. The visit was an annual check up and was thoroughly professional. Very thorough and professional. Answered any/all questions. I felt comfortable and Dr. Iorio took the time to address all of my questions & concerns. This was a great visit. Easy and quick check in. Virtually no wait before my appointment. Professionally took care of all of my questions and the reason for my visit. Quick easy and addressed all my questions and concerns simply. Allergy and Dermatology Specialists (ADS) staff was friendly, efficient and received me on schedule to my appointment. Dr Lorio was professional, knowledgeable and pleasant. The doctor performed a thorough skin cancer inspection as requested. I would highly recommend Dr Lorio and ADS. I hate doctor appointments but Susan was wonderful! Professional and polite, solved my problem quickly! Thank you! It was great. I have never been to a dermatologist before and she was very patient. She answered all my questions and made me feel very comfortable. The first time was more than an hr bc they had problems with my insurance but second time less than 30 min. Other than that, she kinda rushes the appointments, well the second one I had with her and apparently thereis a process to getting the right medicine you want so not sure if Im completely satisfied with this medicine yet. Very efficient DR visit. It was a good appointment. The only suggestion is Susan could smile more. Office personnel were all nice and friendly. Dr. Iorio was very professional, polite, skilled. I liked her and will go to her again.